York Concrete is a Decorative Flooring company that specializes in all Residential, Commercial & Industrial applications. 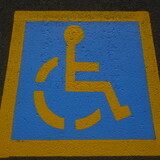 (Decorative & Stamped Concrete, Plain Concrete, Designer epoxy flooring systems and Overlays). York Concrete is constantly trying the latest trends and products available as technology and industry allows to keep up with the hugely growing demand. We use state-of-the-art 3-D imaging software so our homeowners, property managers, building owners, home builders, city contracts, project managers, architects, and designers can see what their project looks like before we start. We offer longer warranties then any of our competitors for the simple fact that we use quality products by long established companies. Let us assist you from consultation, design to completion! 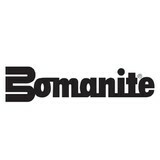 Bomanite raises the standard of excellence for concrete paving and flooring. In every new project, we aim to provide the best results possible. Through hard work and quality performance, we have been able to complete beautiful results for over 40 years. We offer architectural decorative concrete that adds a distinctive touch to any project. Cast in place Bomanite sidewalks, driveways, entryways, common areas, patios and pool decks which remain beautiful season after season Our projects vary from resurfacing and beautifying existing concrete to new stamped concrete, and each time, our priority is providing customers with outstanding outcomes. Ontario Parking Lot Services Ltd.
LID Paving is the distributor of Ecoraster and Ecoraster Bloxx. 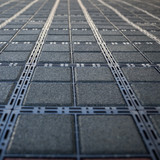 Permeable paving and permeable ground reinforcement is gaining in popularity due to the increasing focus on managing storm water where it lands and on environmental sustainability. Ecoraster can be used as an affordable, fully sustainable and LID alternative to traditional paving surfaces such as asphalt and concrete. It can also be used to stabilize the base beneath unit pavers, allowing a reduction in base depth while ensuring a long lasting, stable and level surface. 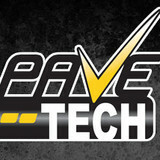 Established in 2001, Pave-Tech (Orillia) Inc. was born out of a passion for providing exceptional service in the Paving & Pavement Maintenance industry. Having the unique ability to combine old-world craftsmanship with new-world technology has allowed us to offer our Clients--both Residential & Commercial--with quality products, superior workmanship, and a finished product second-to- none. Since it's inception, Pave-Tech (Orillia) Inc. has grown exponentially, and has assembled a team of highly-trained specialists who work alongside this owner-operated and managed company. We have a reputation for unmatched professionalism and top-quality service in the Orillia & surrounding area, and our portfolio of satisfied clients stretches to the Muskoka's, the GTA, and Northern and Southwestern Ontario. Our Head Office is located in the heart of the Sunshine City...Orillia, Ontario. We invite you to drop in and see us anytime! Any one of our friendly office staff would be more than happy to assist you and can provide you with any information that you may be seeking on our services. Come by and see us today! We are located at: 9 Ontario Street, Suite #6, Orillia, ON. Whether you need to repair, replace or build an entirely new surface, trust the experts at Westview Paving. Based in Concord, Ontario, we have been in the paving business for over 25 years, and our depth of knowledge shows in the quality of our labour. We take a precise approach when starting each job, from interlocking brick pathways and elegant concrete features to industrial parking lots. We have vehicles and equipment for jobs of all sizes, and the unmatched skill of our workers allows for truly reliable results. Westview Paving is renowned for our efficient concrete, asphalt and interlock services, and we implement new tools and technologies to provide fast turnaround times on projects of all sizes. Most importantly, we are passionate about providing stellar service for our clients, and every member of our team takes pride leaving each site in great condition. As homeowners, we know how it feels to invest in property, and we always treat our customers with the respect, courtesy and exceptional results that they deserve. Locally owned and operated leader in the industry since 1976, Global Simcoe Paving is a Simcoe County and Muskoka area paving company. We have grown to become a premier paving company for the region’s residential, commercial, and industrial markets. Our mission is to provide the finest quality product that incorporates our clients individual needs and style. Customer Satisfaction will remain our priority as we continue to move forward as one of Simcoe County and Muskoka Region’s premier asphalt pavers. We Are Here To Serve You, We’ll Handle All Your Paving Needs! C & R Paving Inc., is a full service paving and landscaping company serving the commercial and residential needs of Pickering, Ajax, Whitby, Oshawa, Scarborough and Markham. We specialize in asphalt paving, asphalt repair, concrete and pavement maintenance, as well as decorative concrete construction and landscaping. Established in 1978, C & R Paving Inc. is a family-run business built on quality, expertise, and excellent workmanship. We pride ourselves on building strong relationships with our clients, ensuring all projects begin and end with our highly-skilled team and are never sub-contracted. C & R is committed to providing the highest quality craftsmanship at an affordable price to make your vision a reality. We use satellites to take pin point measurements of your home's driveway.Your driveway needs are forwarded to reputable and vetted pavers who bid against each other to give you the best market value possible. You choose from the top quotes. You accept and we get started on your brand new driveway! Servicing all of Ontario and Canada wide soon. Ecoraster® / Ecogrid allows the infiltration of water through it, filtering it through to the soil below the paved surface, helping to prevent environmental issues associated with water runoff. Ecoraster® is also fully recyclable meaning that it is a truly “green” alternative to asphalt or concrete and is also a very effective method of erosion control. From installation to repair, Lefroy, ON driveway contractors are responsible for a variety of planning, installation, construction and driveway maintenance services. Driveway materials. While most driveway contractors in Lefroy, ON primarily work with asphalt, they are also experts on the wide range of available driveway materials. If you are looking for something different than a standard asphalt driveway, your pro can help you select driveway pavers or customize a brick driveway design. A driveway installation and maintenance professional may work closely with a Lefroy, ON builder, landscape professional or various manufacturers and suppliers. Find a Lefroy, ON driveway installation and maintenance professional on Houzz. Narrow your search in the Professionals section of the website to Lefroy, ON driveway installation and maintenance. You may also look through Lefroy, ON photos to find examples of driveways that you like, then contact the professional or contractor who worked on them.